Welcome to Hall County Karate! We specialize in teaching traditional Japanese Karate for our modern world. We have classes for children and adults, and for any level of fitness. Hall County Karate is veteran-owned and its chief instructor, Todd Irvine, is committed to serving his community. We offer classes through the Hall County Department Parks and Leisure at the Mulberry Creek Recreation Center, so that the highest quality instruction is available to our community at very affordable rates to the Gainesville and Hall County communities. 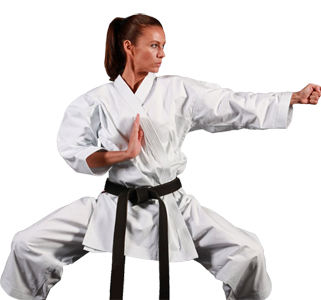 Advanced Karate Classes: Mon.. & Fri. 7:00-8:00p.m. Why Should I Train in Karate? Karate requires intense focus and concentration. Children and adults both can benefit from improved mental focus and the confidence that it builds. Karate translates into "empty hand" and all training is dedicated to learning self defense. Traditional Karate teaches the highly effective techniques for use in real-life situations. Regardless of your fitness level, Karate can be an important part of our physical fitness goals. Classes start light, but increase in intensity as you progress. 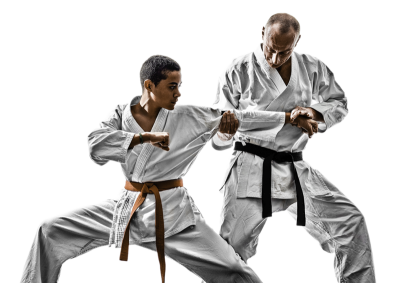 If you need to lose a few pounds, or if you are already in shape and want to stay that way, Karate is a good activity whether you are 8 or 80. Karate is an ancient fighting art that has evolved over the years to include many variations and techniques. The word means “empty (Kara) hand (te),” which indicates that the techniques require the use of only the human body as a weapon. Japanese karatedo, if properly taught, is a balanced system of spiritual discipline, physical education, and self-defense. At Hall County Karate, we teach Shito-Ryu Karatedo, which is one of the four major styles of Japanese karate. Training in this art is equally divided between hand and foot techniques for self-defense. Emphasis is placed in kata (forms), techniques for self-defense, and sparring. Traditional Karate has a differnt focus than do modern, sports-based martial arts. Karate is strictly focused on learning how to defend yourself if attacked. There is nothing wrong with sports-based martial arts, but you should evaluate what you want from your martial arts training before committing your time and money to a dojo. For those of you who want to learn Karate for self-defense, Hall County Karate is the only traditional martial arts school in Gainseville, GA,. and the only traditional martial arts school in Flowery Branch, GA.